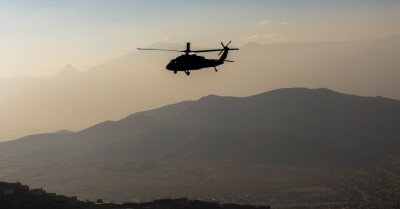 A U.S. airstrike killed 11 civilians, including women and children, in the Kunar province of Afghanistan, local officials said Wednesday. The deaths are reportedly the result of a strike, which also left at least a dozen wounded, on Tuesday in Narang district. The deaths also included “two suspected insurgents,” the governor of Kunar, Shujaulmulk Jalalah, told Stars and Stripes. Spokesperson for NATO’s International Security Assistance Force (ISAF), Maj. Paul L. Greenberg, said it was “looking into the circumstances” of the attack. A report issued last month by Amnesty International found that the U.S. military has failed to provide accountability for the many Afghan civilians killed or wounded by occupying forces. “Thousands of Afghans have been killed or injured by U.S. forces since the invasion, but the victims and their families have little chance of redress. The U.S. military justice system almost always fails to hold its soldiers accountable for unlawful killings and other abuses,” Richard Bennett, Amnesty International’s Asia Pacific Director, said in a statement issued last month. “None of the cases that we looked into — involving more than 140 civilian deaths — were prosecuted by the US military. Evidence of possible war crimes and unlawful killings has seemingly been ignored,” Bennett’s statement continued.